Drinkers in the states didn’t fill their glasses with vodka much until after the Cold War. During the late ’50s and ’60s, vodka became popular—mostly because of vodka cocktails. Businessmen, mistresses, and housewives alike sipped sweet Moscow Mules and tart Greyhounds—and calmed their hangovers with Bloody Marys. Like all alcohol-soaked tales of yore, the spiced, red inebriant’s origins are as hotly debated as the Tabasco in (some versions of) the drink. A reigning tale takes place in the ’20s and stars Paris bartender Fernand Petiot who supposedly created an early two-ingredient version at Harry’s New York Bar (whether the featured spirit was originally vodka or gin is up for discussion). In another version of the story, comedian George Jessel is credited with its invention. Post-Prohibition, Fernand brought the Bloody to the states, mixing it for customers behind the stick at the King Cole Bar in New York City’s St. Regis Hotel. Legend has it that the King Cole attempted to give it the less-grotesque name “Red Snapper” for a time—but that clearly didn’t catch on. Over the years, heat and horseradish, spices, and lemon were all added to the glass. 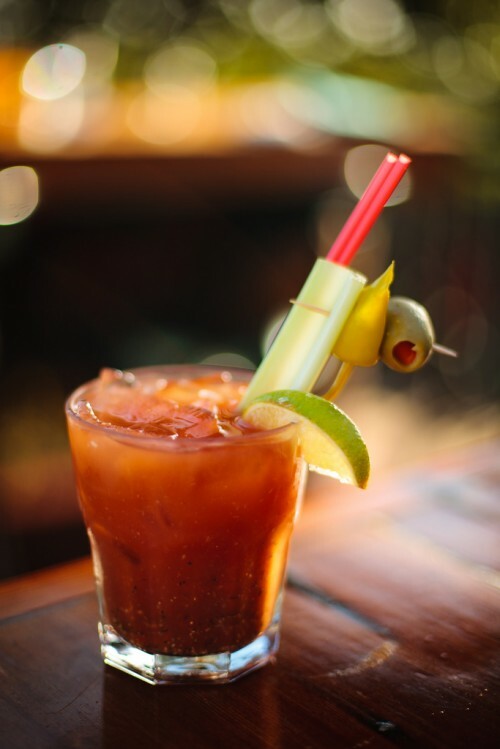 Today, revelers in sunglasses hunch over Sunday brunch tables, stirring Bloody Marys with everything from pickled greens beans and celery to bacon, doctoring the drink to their liking with Old Bay and clam juice. Or substituting Scotch, beer, or tequila for vodka. The number of Bloody variations is as high as the number of drinks the world’s hungover people downed last night. And that’s the beauty of it. Pour over ice in a highball glass and stir. Garnish with celery, olives, cocktail onions, pepperoncini, pickled radish, etc.